Construction on the Purple Line connecting Prince George’s and Montgomery counties could begin this year, and homeowners who live along the planned route have been told to make major adjustments to their property. The modern streetcar connecting Bethesda and New Carrollton would run in Robert Haddad’s backyard in Chevy Chase, Maryland. He’s been told a shed he built himself has to go. 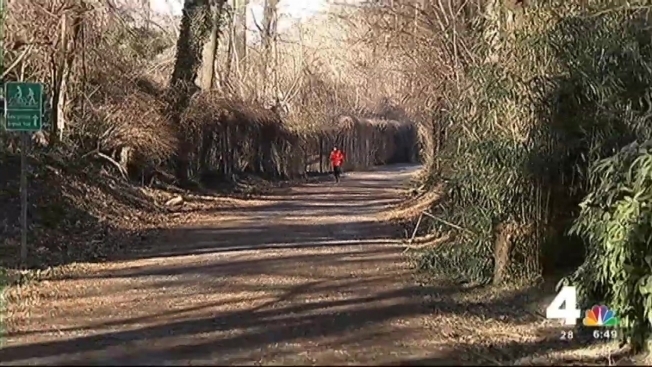 He is one of dozens of homeowners along the Capital Crescent Trail told they might have to move their property. Some are frustrated at how the state is handling the project. There are no firm details about who will build it the Purple Line, yet homeowners have to take action. “If there's no funding that's been lined up to build it, am I doing busy work for somebody else?" Haddad said. Officially, the homeowners have until the end of April to make the changes and the county is offering up to $3,000 in assistance, but for Haddad, it's not about the money -- it's about a project he doesn't think makes much sense. "I'm not at all sold on the Purple Line,” he said, “and I hate to call it the Purple Line. It has nothing to do with the Metro."